As we’ve always explained, getting customers or fans to follow you on social medias starts with asking. The next step is to provide them with an easy process to complete your request. 2. Click subscribe and you have a Google+ account, you will automatically be subscribed. If you do not have a Google+ account, you will be prompted to create one. If you choose channel, you will see the screen below, and you can also subscribe there. 3. Once you’ve subscribed to our YouTube Channel, you can change your settings to automatically have new video uploads emailed to you. To do this, click the cog wheel next to the subscribed button and make your selections. This will give you first access to all of our latest content. We’d love it if you’d subscribe to the Mobile Cuisine YouTube Channel. 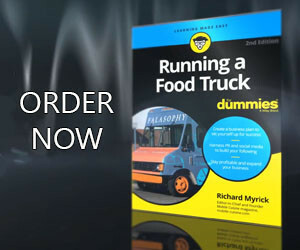 You can now keep up with every aspect of the food truck industry through video in addition to our articles.